A high number of repetitions are necessary to learn any soccer skill. When learning heading technique, physicians recommend that a lightweight ball be used to minimize the impact to the brain. That's why we've developed a ball that is regulation size but weighs about half as much as a size 5 soccer ball. ​Using a lighter weight ball allows soccer players to get the repetitions necessary to learn the right technique with much less impact! Soccer players need instruction in the correct technique for heading. The safest technique for heading a ball varies greatly depending on how the ball arrives to the players head and where the player is redirecting the ball! Practicing these different techniques is an essential part of soccer training to minimize the chances of heads colliding, a major cause of concussions in soccer. Our instructional videos and training exercises can be used by players at home, or by coaches at practice to develop correct heading technique. 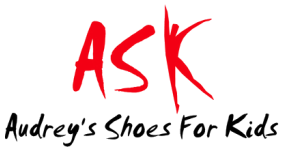 ​​Ask Foundation is already providing free soccer shoes to children who live in subsidized housing. 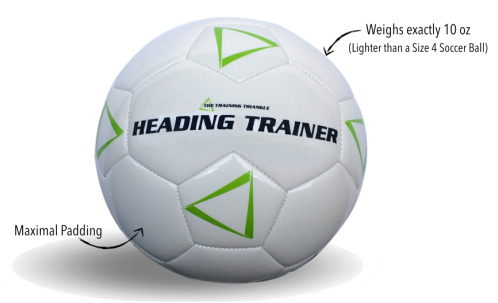 When you purchase a heading trainer ball, we will give a regulation soccer ball to a child involved in the ASK foundation. The Heading Trainer™ is a Training Triangle, LLC product. The Training Triangle, LLC offers educational products and services to help coaches, teams, and entire organizations train more efficiently. We want to help our customers become better players, coaches, teams, and organizations. Why? ​Our passion is soccer and we love helping others improve. We are always updating and improving our content.